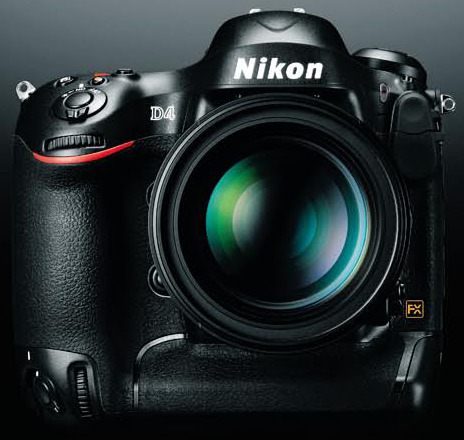 After a long wait, Nikon D4 was finally released (on 6 January 2012) to charm the professional photographers with its higher resolution, updated AF system and better low-light performance. As remarked by Ken Rockwell, “The Nikon D4 is for full-time professional news, sports and action photographers”, this replacement or the upgrade of Nikon D3 is more inclined towards providing better performance with existing set of features. But that’s not the end of story. You can always expect cutting edge solutions from Nikon and here are some distinct features of Nikon D4 which makes it stand out of the crowd. Nikon D4 is a 16.2 MP FX-format CMOS sensor camera equipped with EXPEED 3 image processor for superior image quality with excellent high-speed performance. Here’s what’s different in the D4 from D3. ISO in D4: Nikon D4 provides better low-light performance. With its incredible range of ISO ranging from ISO 50 to ISO 204800, Nikon D4 offers you the flexibility of working with variety of lighting conditons. This though seems like a marketing gimmick. Resolution in D4: The resolution of the D4 is 16.2MP as compared to that of 12.1MP of the D3. Not much though and the D3x still stands tall with 24.5MP and is suited more for landscapes. Higher Frame Rates in D4: As compared to the frame rate of D3 which was 9, the frame rate of D4 is 10 per second and 11 when the auto-focus has been locked. Storage Media in D4: The D3 has dual CF card slots. One of these CF card slots is gone in the D4 and replaced by an XQD slot. Metering in D4: The meter has been updated from a 1005px RGB matrix to 91,000px RGB matrix.